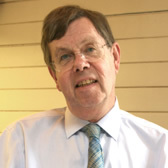 Giles Dixon is an English solicitor with many years’ experience in drafting and negotiating a wide range of commercial and construction contracts for use in the UK and internationally. During his career he has worked as an in-house lawyer as well as in private practice and he spent some 12 years living overseas. Giles is a founder and director of ContractStore and a proponent of the use of plain English in the drafting of legal documents. He is a member of Clarity, an international organisation promoting plain legal language. When not working with ContractStore, he has his own legal practice – information can be found at www.gilesdixon.com.